With an appeal that is utterly unique, it’s not surprising that so many people fall in love with the city I am privileged to call home…. Amsterdam. This vibrant, multicultural capital of the Netherlands also happens to be one of the most popular destinations in Europe to stage Trade Shows, Conferences, conventions and other corporate events. 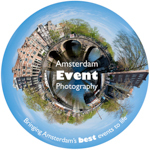 You can see a small selection of the photography work I have created in the actual city of Amsterdam in the gallery below. Do get in touch should you wish to use any of this artwork to graphically illustrate your next event. You can license it as stock photography or purchase it as artwork.